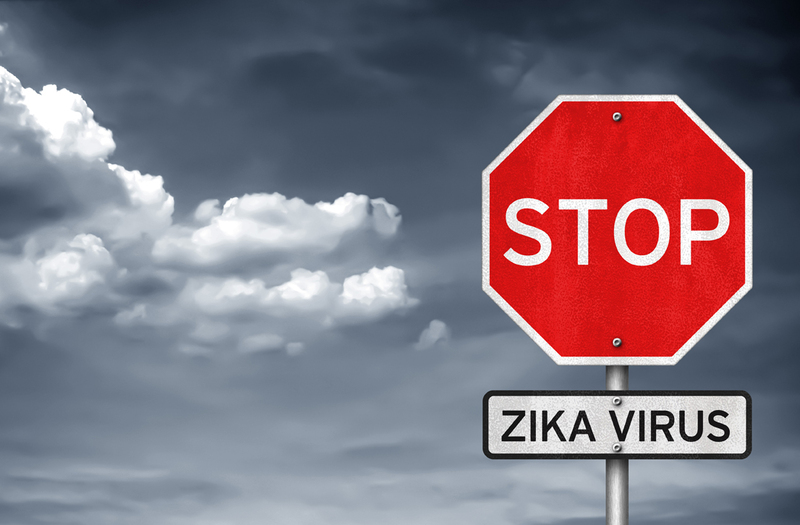 Contemporary Pediatrics just published a special report about precautions you can take to protect yourself and family from the Zika virus. The Centers for Disease Control (CDC) states that the best way to prevent mosquito bites is by wearing appropriate clothing and using one of the following insect repellents: DEET, picaridin, IR3535 or oil of lemon eucalyptus. Ensure clothing covers arms and legs. Spray clothing with DEET-containing repellents. Sawyer Permethrin spray for clothing lasts 6 weeks, even through washing. Some stores sell clothes treated with an insecticide called Permethrin, such as Cabela’s Insect Defense System. If you are a woman of child-bearing age, visiting a country with cases of Zika during the summer months or planning to visit a tropical forest, it makes sense to use all precautions, including purchasing Permethrin treated clothes and applying DEET at higher concentrations to exposed areas of the body, together with all the barrier protection techniques recommended by the CDC. If you are trying to protect your pre adolescent child who plays sports outdoors in the evening near a river or other body of water, any of the DEET 15% or 25% may suffice. If you are walking your toddler to the park on occasions and you worry about mosquitos, the Skin So-Soft Bug Guard Plus Picaridin or OFF! Family Care Insect Repellent II (Picaridin 5%) is all you need. Any case in between is open to discussion with your pediatrician. Cover cribs, strollers and baby carriers with mosquito netting. Treat kids’ clothing and gear with permethrin. Use only EPA-registered, pediatrician-recommended repellents. Do not use insect repellents on babies less than 2 months. Do not use products with lemon eucalyptus oil or para-menthane-diol on children aged less than 3 years. DEET is the best insect repellent but it is neurotoxic. In concentrations of 20% to 50%, it is effective and safe. According to some dermatologists, the best products against the Aedes mosquitos (species spreading the Zika virus) are Sawyer Picaridin Insect Repellent; Ben’s 30% DEET Tick and Insect Wilderness Formula; and Repel Lemon Eucalyptus. For patients who are uncomfortable using DEET, the lemon eucalyptus products are good options. Please refer to the chart below to compare common insect repellents and their active ingredients. Burt’s Bees Herbal Castor oil, 10%; rosemary oil, 3.77 %; lemongrass oil, 2.83%; cedar oil, 0.94%; Peppermint oil, 0.76%; citronella oil, 0.57%; clove oil, 0.38%; geranium oil, 0.19%. California Baby Natural Bug Blend Pure essential oils of cymbopogan nardus (citronella grass), 5%; cymbopogon schoenanthus (lemongrass), 0.5%; cedrus atlantica (cedar), 0.5%. Cutter Natural Geraniol, 5%; soybean oil, 2%; sodium lauryl sulfate, 0.4%; potassium sorbate, 0.1%. EcoSmart Organic Geraniol, 1 %, rosemary oil, 0.5%; cinnamon oil, 0.5%; lemongrass oil, 0.5%. OFF! Family Care Insect Repellent I (Smooth and Dry) DEET, 15%. OFF! Family Care Insect Repellent II (Clean Feel) Picaridin, 5%.